journalists to their teams. 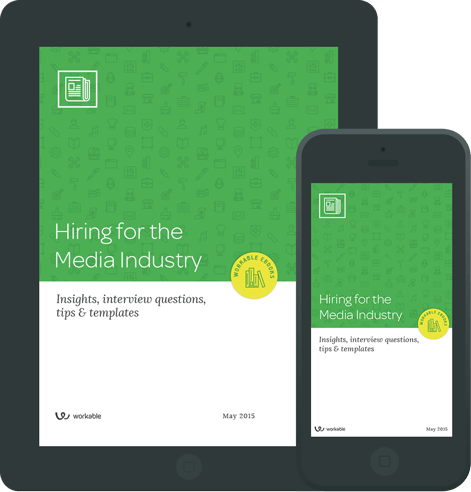 As a professional hiring in the media industry, what should you be aware of? What can you do to harness current trends and create long-term possibilities for employees? Get the expertise and insight you need to gain a vital competitive advantage. All the analysis, job descriptions, interview questions and letter templates you need in one free eBook. Job growth outlook What’s next for your candidates, and how this effects your search. How to vet your candidates Tips for assessing candidates’ skills and cultural fit.